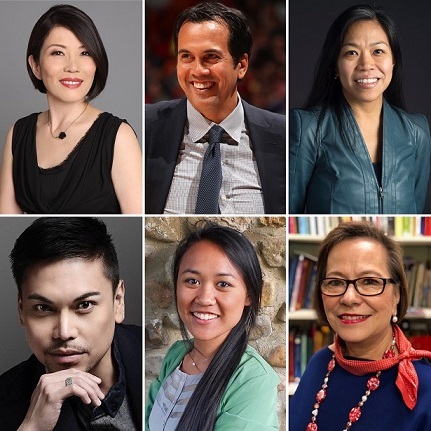 A Pulitzer Prize winner and a Nobel Peace Prize recipient are among this year’s distinguished The Outstanding Filipinos in America (TOFA) honorees. Mariel Padilla (Youth category) contributed to The Cincinnati Enquirer’s Pulitzer-Prize winning project, “Seven Days of Heroin,” about the drug epidemic in the Midwest. Vivian Talambiras-Cruz (Community Service) was part of the team at the UN’s International Atomic Energy that won the Nobel Peace Prize in 2005 for its work to demilitarize nuclear technology. They are just two of this year’s notable FilAms, who are being recognized in celebration of Filipino American History Month. An awarding ceremony will be held at Carnegie Hall – TOFA’s home for the last seven years — on October 27. Asia’s King of Talk Boy Abunda will emcee for the fourth time this year. 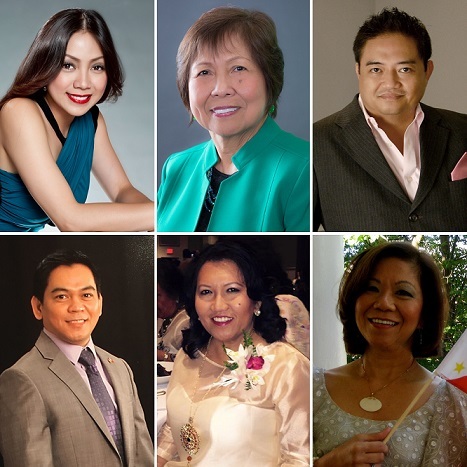 TOFA is presented to Filipino Americans who have made remarkable achievements in their profession, their advocacy, and community involvement, in ways that bring honor to Filipinos across the United States. Cecile Licad (Heritage Award). One of the youngest musicians to receive the prestigious Leventritt Gold Medal. An orchestral soloist, this legendary master pianist boasts a repertoire spanning centuries of classical music. She has performed with the world’s most prestigious orchestras through four decades. Joji Juele Jalandoni (Arts & Culture). A proud Ilonggo nurse, Jalandoni has made it her mission to keep Filipino culture relevant to future generations. She has led the Philippine Independence Day Council that produces New York’s annual Independence Day parade. She has hosted 50 Dinagyang “warriors” and Manggahan cultural dancers from Iloilo City and Guimaras province so that they could participate in the Independence Day parade. Corazon Rivera (Business & Entrepreneurship) is a real estate professional, the owner of property firm Bona Tierra, which caters to a high-end clientele of Broadway stars, actors and property developers. She has received multiple awards for outstanding sales performance in over 30 years in New York’s real estate industry. Vivian Talambiras-Cruz (Community Service) and her team at the UN International Atomic Energy Agency were recipients of the Nobel Peace Prize in 2005 for their distinguished work to demilitarize nuclear technology. She is now focused on community and humanitarian work. She became a convenor for the Build A Shelter Project which built over 100 homes for victims of typhoon Haiyan. She was instrumental in the restoration of the Simbang Gabi tradition at the Philippine Center and is one of the movers of the Homecoming sa Konsulado with alumni from Philippine schools participating in a day of fellowship. Leonora Galleros (Courage of Conviction) found herself at a crossroads last year when she uncovered anomalies in the books of the Philippine Independence Day Council. Being a staunch advocate of accountability and transparency and as the managing partner of accounting and consulting firm Galleros Koh LLP, she brought this to the attention of leadership. 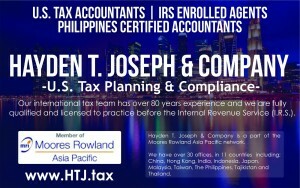 She is a registered CPA in New York and New Jersey with a track record of 20 years. Dr. Roseminda Santee (Education & Research) is currently associate dean of the Trinitas School of Nursing. She has mentored not only Filipino nurses taking state board exams but also nurses and medics of the U.S. Army, where she served as a combat support hospital nurse and trainor as part of a decades-long practice. She is a co-founder of the Philippine Nurses Association of New Jersey and the Philippine Nurses Association of America. She is serving her second term at the Commission for Nursing Education Accreditation. Marc Anthony Nicolas (Entertainment) of CBS is a three-time Emmy winner who produced the “The Tyra Banks Show,” which won the Daytime Emmy Award for Outstanding Informative Talk Show in 2008 and 2009. This year found him receiving another Emmy as producer of “The Talk.” Before he became an accomplished producer, he worked odd jobs to support himself. Alexis Monsanto (Fashion & Style) is a designer for famous celebrities. He collaborated this year with Olympic gold medalists Jackie Joyner-Kersee and Nadia Comăneci, who joined the black dress protest at the Golden Globes in January. His James Bond-inspired collection received a standing ovation at the All Aboard Fashion Show 2016. DHaven Supper Club (Food & Restaurants). Whether through OPM, jazz or pop classics, DHaven delights Filipinos in America with its fun vibe. 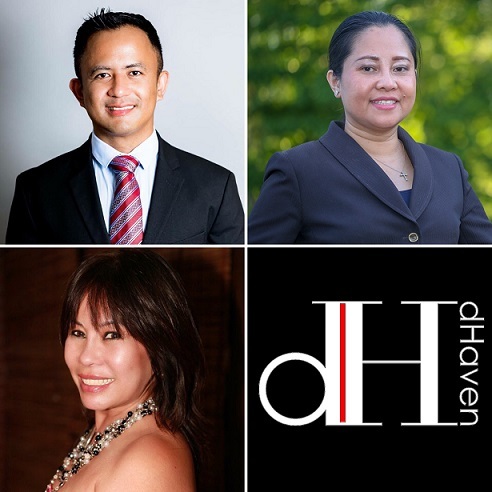 A happening place for live music, DHaven features some of the most talented Filipino performers in New York and New Jersey. It was the venue for the Miss Gorg beauty pageant for transwomen. Dr. Allan Mendez (Healthcare) celebrated his 10th anniversary in physical therapy practice with citations from the American Health Council as New Jersey’s “Best in Medicine” and from NJ Top Docs as “Top Doc” for 2018 in his field. Not too long ago, he opened the Silver Lake Physical Therapy & Sports Rehabilitation in Belleville, N.J. with fellow doctor Marilyn Umali-Dizon. Jannelle So (Media & Publishing) is the host and producer of the lifestyle show “SO Jannelle” broadcast over The Filipino Channel, Lifestyle Network, and KSCITV-LA18. She was the creator, original host and producer of “Kababayan TODAY,” the longest-running Filipino daily talk show outside of the Philippines with a nine-year run over KSCITV-LA 18. She has won awards for her coverage and contributions to the FilAm media landscape. Atty. Nicolas Caraquel (Public Service) is an immigration lawyer who understands the challenges and complexity of obtaining legal status in America, having gone through the process himself. He acquired a work visa within weeks of applying and a green card after a year. 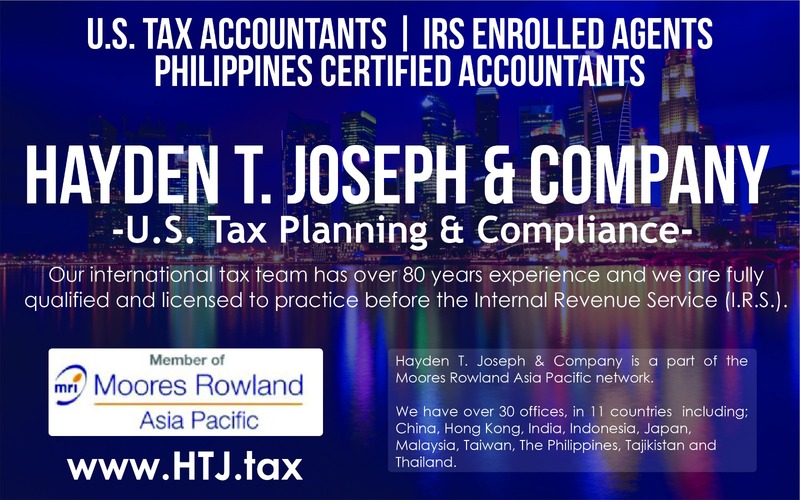 He is licensed to practice law in the Philippines and in New York, and has handled more than 100 immigration cases. Bima Baje (Science & Technology) is co-founder of New Jersey-based NYC Regenerative Medicine. She often alludes to stem cells as the future of medicine for their potential to eliminate hundreds of autoimmune diseases and to improve mobility and pain management. In 2017, she started serving as vice-president for Southeast Asia of BioGenix, one of the largest distributors of stem cell products in the U.S. Headquartered in Houston, Biogenix is the only company authorized to provide stem cell therapy to Veterans Administration hospitals across the country. Erik Spoelstra (Sports) is the first Asian American head coach in the history of the four major North American sports leagues. He led Miami Heat to championship wins in 2012 and 2013, thus distinguishing himself as the first Asian American to win an NBA championship. He celebrates 10 seasons at the helm of Miami Heat and is a strong candidate to become the winningest coach in Miami Heat’s franchise history. Maria Torres Springer (Women Empowerment) is commissioner of NYC’s Department of Housing Preservation and Development, which is the nation’s largest municipal housing agency. She spearheads Mayor Bill de Blasio’s affordable home initiative across diverse communities. Promoting neighborhood revitalization has been her life’s work with stints involving small business services, development and rebuilding, and managing NYC’s High Line park. She was president of NYC Economic Development Corp, which expanded programs for minority- and women-owned businesses. Mariel Padilla (Youth) contributed to The Cincinnati Enquirer’s Pulitzer-prize winning project, “Seven Days of Heroin” by compiling opioid-related police records and creating a searchable database. A fellow of the Columbia Graduate School of Journalism with concentration in data-driven investigations, she is also an awardee of the Society of Professional Journalists for her 2017 feature on the Ohio death penalty. She earned her bachelor’s degree from Miami University in Ohio, where she helmed the university’s premier feature magazine.